The interstate integration of power grids provides multiple advantages concerning operation security, integration of renewable energy as well as energy trading. Due to these facts grid interconnections, such as ENTSO-E in Continental Europe, expand continually since its establishment. Due to the increasing scale and distance of interconnected power systems as well as an increasing number of countries involved with increasing complexity of operation, comprehensive R&D and innovations are urgently required to assure reliable and efficient operation of power systems. 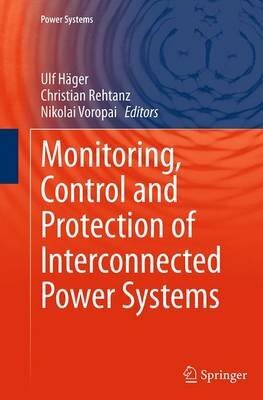 In this book new tools and methods are presented for monitoring, control and protection of large scale power systems. These tools and methods consider Smart Grid technologies based on wide area data exchange in combination with modern measurement devices, such as PMUs and advanced network controllers such as FACTS and HVDC systems. Within this topic the impact and reliability of different communication technologies play a key role. The material of this book is based on final results from the international research project ICOEUR "Intelligent Coordination of Operation and Emergency Control of EU and Russian Power Grids", supported by the European Commission and the Russian Federal Agency of Science and Innovation. This book provides a great value for professional power system engineers as well as for students interested in topics related to large scale power system monitoring, control, protection and operation.